Decades ago, a talented blender in a small town Tobacconist’s Shoppe, in a land known for its fragrant and delicious blends, produced a magnificent mixture of such unique characteristics that pipe smokers in the town were soon belting out its praises. Stories of this special tobacco spread, and pipemen from neighboring towns were soon found visiting the shop to experience the tobacconist’s fame-gaining smoky elixir. Its popularity rapidly grew. One day Nigel, a passionate pipeman who had been living across the ocean for many years, discovered this marvelous mixture on a rare trip back home. Smitten, he bought as much of this new blend as he could stuff into his luggage for his return journey, and arranged, at some expense, to have his brother send him four tins each month so that he would never be without his new favorite. Such was the nature of this magical mixture. Demand for it soon grew beyond the tobacconist’s limited production capability, and if he was to continue, he realized he’d have to make arrangements with a larger facility to supply his growing legion of fans, and to further increase his mixture’s availability. He contacted another firm, known for the consistency and quality of their tobaccos. He worked with their experts to ensure that the ingredients and the processes involved in the blend’s production were as true to his original as possible. He knew that some small changes would be inevitable, but after months of cooperation, the deal was sealed, hands were shaken, and production began. The town tobacconist would continue to make his mixture for local trade, and the larger factory would produce it for the rest of the country, and ultimately, the world. 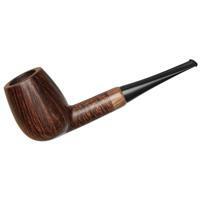 Months later, Nigel, on visiting his local pipe shop, was delighted to find his blend on the shelf. The packaging was a bit different, but he attributed this to export marketing, and the description read the same, so he bought a tin, and immediately filled his bowl. He did find it slightly changed from the tobacco he’d been enjoying for so many months, but it was still excellent, and certainly close enough to satisfy; the convenience and lower cost of being able to get it locally were sufficient to motivate him to contact his brother and discontinue his monthly shipments. He contentedly smoked tin after tin of his mixture, and remained an ardent fan. Over the years, small changes had to be made to the blend. Tobacco, being an agricultural product not unlike wine grapes, are subject to the whims of nature and economies, two of the more mischievous of consistency’s many hobgoblins. The manufacturer’s blendmeisters worked hard to minimize these differences by carefully selecting leaf, warehousing large quantities for years, and blending different vintages carefully to increase consistency. Ultimately, the factory was bought by another, larger firm, a conglomerate of many smaller tobacco companies, and the new management sought to “rationalize” their many offerings by producing “Master Blends” of basic ingredients, simplifying the production of the dozens of blends in their catalogue. 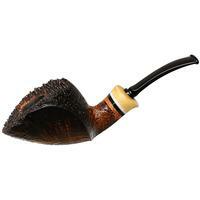 These changes were made slowly over time, with the hopes that each new recipe would be similar enough to its predecessor that the differences would lie beneath the threshold of perception of the average pipe smoker. The strategy was successful. A few “Golden Tongues,” hangers-on who held court on the weekends at their local pipe shops, whined that it “just wasn’t what it used to be,” but most either didn’t seem to notice, or didn’t care. If Nigel recognized the changes at all, he simply acclimated to them, and remained a contented piper. 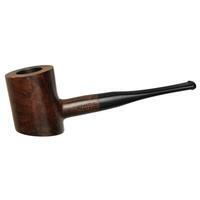 During this time, the highly popular pastime of pipe smoking began a slow descent into comparative obscurity. Fewer newcomers had the patience to practice the art of pipe smoking when cigarettes were so much easier, and many of those who did take up the pipe gravitated towards the heavily sweetened, highly aromatic, mass-produced blends that were more widely available and had greater “crowd appeal.” The more natural, luxurious tinned tobaccos were hard hit by pressing market forces, and ultimately, the factory’s bean counters were forced to make the decision to discontinue many of their premium blends in order to focus on the more profitable bulk ranges. Nigel’s fave fell victim to the winds of change. But other winds were blowing. Within a few short years, the increasing popularity of the Internet found a new, enthusiastic population of pipe smokers, old and new, able to discuss their pastime in virtual, almost cult-like communities. 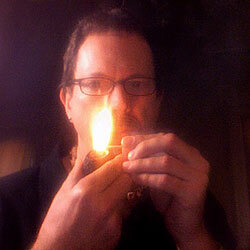 Chatrooms, newsgroups and forums became the virtual pipe shops of old, and small boutique blenders began to rise from the ashes, producing quality blends in small batches, both attempting to recreate lost classics and innovating new ones, and selling them through a growing number of on-line stores. A new renaissance of pipe smoking was born. New smokers soon learned of some of the great blends of yesterday, and sought to experience them. Prices for old tins skyrocketed on auction sites. Sound familiar? The story is apocryphal, of course, but it’s not quite fiction. Similar things have happened time and time again. As Heraclitus noted about 2500 years ago, nothing endures but change, even within the world of our sacred pipe tobaccos. For many reasons, tobaccos change over time, sometimes slightly, sometimes considerably. 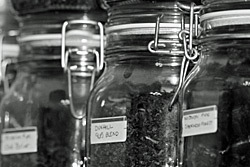 Ingredients, such as rare varieties of oriental tobaccos, or Syrian Latakia, become unavailable. Farm management practices change, often driven by the cigarette industry’s requirements (compare this with the grapes used to make mass market wines versus those that are estate grown, used to produce the low-volume great growths of Burgundy, for instance), and market forces often result in fewer grades of specific leaf being available. Pipe tobacco is a tiny speck on the map when compared to cigarette tobacco, and growers have to go where the money is if they’re going to continue making a living. Production methods, too, are subject to change. To satisfy the world’s demand, as relatively tiny as it is, and to remain profitable, large producers often have to scale their manufacturing to maximize output and minimize costs, sometimes leaving out time-consuming steps that, though subtle, were important to the original formula. And, of course, there’s the continuing issue of yearly variation in tobaccos. Again, as with wines, some vintages are just better than others. Manufactures continue to minimize vintage variation by blending leaf from different years, from different sources, but some characteristic changes will always be inevitable. This isn’t intended as a tale of gloom and doom. It’s a fantastic time to be a pipe smoker. There are thousands of blends being made today, some by large companies, some by boutique blending houses. The breadth of choices currently available is staggering, and new things appear frequently. Quality leaf is readily available, and some experienced, creative blenders are bringing new ideas to the tobacco jar, informed by their deep knowledge and understanding of the classics. There’s something, or more likely many things, that will appeal to any palate, providing its owner is not stuck in the past, unwilling to release a death grasp on dusty old memories of tobaccos past. But as the other shoe drops, the question swinging from its laces is this: How important is it for a reincarnated blend to be true to the original? Brands, cultivated over years or decades, represent something. They become inexplicably associated with a group of experiences in the experienced consumer’s mind, and establish a set of definite expectations. When that familiar tin again appears on the tobacconist’s shelves after a long absence, we have an immediate internal representation of what it’s going to look like, smell like, taste like. If it’s at least close, we can be forgiving, consoling ourselves with the understanding that things change, or accepting the possibility that our memory of what it was might be flawed, perhaps colorfully enhanced by the romantic folly of nostalgic reminiscences, perhaps faded by the passage of time like a snapshot left in the sun. If we like it well enough to continue smoking it, our small disappointment will dissolve over time as a new set of expectations replaces the old. If we’re promised a steak and get a hamburger, on the other hand, disappointment will grow deeper roots, and rightfully so; the brand has failed to keep a promise forged over years of prior delivery, becoming, instead, a mere palimpsest of what it claims to be, related to the original by little more than name alone. Most often, things fall somewhere between these extremes. The new tobacco is good enough, but it’s not special in the way the old one was. Newcomers to the brand have little beyond the stories they’ve heard on which to base their expectations, and so rate the brand on a personal scale of preference. If they like it, the “new” brand can hit the ground with a little wheel spin, gain traction, and blast up the track. If they don’t, it’ll stall on the starting line. The new adopters will either sing its praises, believing they now, finally, have the opportunity to understand what all the old-timers were talking about, or condemn it, wondering what all the historical fuss was about, their opinions derived solely from their perceptions of the blend’s current merits. In time, we’ll hear from the old-timers. I’ll freely admit to having more than once been the grumpy guy in the back room complaining about things changing beyond acceptable limits. Even if the “new” version is good, it’s not the “old” version, the one I expected, dammit, and it sometimes makes me cranky. Being involved in this crazy pastime of pipes and tobacco for something over thirty years, having a cellar full of vintage tins, and having had the good fortune of tasting different eras of many of the now legendary lost blends of yore, I feel like I’ve earned the right to complain once in a while. Sometimes, I’ve softened over time, accepting that the “new” thing, though different, is still quite good, and just needs a different yardstick with which to measure it. Other times, my crankiness persists. If the old blend was somehow “special,” and the new one is simply “good,” I’ll likely never find much forgiveness. Why sell something new and different as something that’s gone missing for a while? Why not create a new classic, rather than trade on the name of an old one? The motivation is obvious. I’ll leave you with a question: Is it right? I will be the first to admit that if I wanted to buy a new Mustang, I would be expecting pony car performance with modern day components. So I do not think it wrong that an old label such as Balkan Sobranie should give an expected smoking experience using modern available leaf. Reasonably, I can’t expect it to be exactly like something I smoked 30 years ago, and really, who can remember? At most, one might remember the scent, as that sort of thing stays with us longer than other memories do. But to stick any old blend in a can and call it Balkan Sobranie would be an injustice. I think that would be the same for any blend. I had an instructor who often remarked that “nothing is constant except change.” With that in mind, when I find something I like, I stock up on it, and when the inevitable change comes, I can be one of the oldsters who sit in the back and long for the good old days. But since when has ethics ever meant any damn thing in marketing? There’s simply too much money to be made on the legendary trade names and pretty much a guarantee of sales, and as you’ve said, alotta folk’ll diggit for what it is with no vociferous complaint, because many have no reference to the original and can’t grok just how different the simulacrum is from the godhead. Dust on the needle, like. Felonious Monk got many moods daddio, and these foolish things just swing along in reflection. Like blue man, real blue. The going rate for being a gigolo is crazytown profits, no matter’n how faux the paw — not just one brass farthing but failswoops of filthy lucre, the shelves will soon groan with an array of gimcrackery, methinks. Mythologies simmer in the brain, it gets real hot inside the skull y’know? Mucho bones in the graveyard, alas poor Yorick, like. “Change alone is unchanging.” said also that pre-Socratic cat. wow man, this is an epic installment here, very well done, like the solid intensity of a ‘Trane session, like. Good stuff dude, good stuff. A tome I’d like to hold. My pipe is fill’d in your favor. Speeking as a new pipe smoker with no experience with “the old blends,” I enjoy the hunt of trying to find these nostalic blends of time past, if for no other reason, as Mr. Pease mentioned in the article, then to say I did. The part I find most amusing is the fact that the hype I am following is not coming from the manufactures / blenders. It is coming from the online community. In my mind, naming a blend after and old classic is basically free advertising today. Good or bad, people are going to talk about it. If enough people are talking about it, then people are bound to purchase the product to determine if all the hype is worth the fuss. Form these discussions you also get the comparisons, “this ‘new blend’ matches the ‘old blend’ better than the ‘recreated blend.’” Right or wrong, this will peak the interest enough of some people to go out and try this new blend as well as the recreated blend. So, is this marketing strategy right or wrong… who know’s. All I can say is that it appears to work! I knew this story in bits and patches, but never have I read it in such detail, and never have I read it told so well. Now I can be reconciled that I can’t get the version of 3Nuns that I liked, the Imperial, which as I understand it was the second version, a good bit different than the original; and feel more amiable about the topping from STG which I feel has taken Escudo down, off its pedestal. I can be reconciled but not without complaint. They say that complaining reinforces one’s negative attitude and does more harm than good. Perhaps, but when a blend you love has been whacked, some complaining is in order. For the most part things manufactured 30 -40 years ago are far better made (minus new technology)than objects currently manufactured.Hence the popularity of such things as Pawnstars and American Pickers in today’s society.Marketing is marketing and will never change.If one thinks todays blends will be similar to ones created years ago I would think they are sorely mistaken. The perfect example is the new Three Nuns, instead of creating a new brand, it is being sold with the same name as the blend that originally contained a high amount of Perique. The new TN has no Perique and Burley has replaced it. It is nothing like the old blend and it is trading on a once iconic name even though it has no resemblance to it’s former self. When it was recently released here in the states it sold out very quickly and I am sure most of the buyers had no idea it is nothing like the original. Marketing and name is selling the new TN and in my opinion it is dishonest and misleading. Greg, Great article; certainly erudite and amusing but, more importantly, thought provoking. Going back to the story when was the line of deceit crossed, the first step into mass production, the consolidation of blends, the resurrection? To some extent surely it is a matter of degree depending on how different was the tobacco in each successive iteration. From our current perspective we are perhaps inclined to see the resurrection as unethical but the earlier changes as justifiable but often the key change was much earlier. For example, I was a devotee of Dunhill 965, fully named “My Mixture 965″, from just when it was last produced by Dunhill through its early days produced elsewhere. In my view the “My Mixture” designation for a factory product was more than a bit iffy. Nonetheless, until sometime in the late eighties, it was still a great tobacco but sometime around about 1988 (date may be a year or so either way as I did not keep a journal) to my taste it went dramatically downhill to the extent it was no longer the same mixture. I then switched to the “hand blend” only obtainable from the Dunhill shop in Jermyn Street (I know that is not the post address but the street the entrance was on) and this was a superb but different mixture (looking back I suspect it contained a little perique!). I have read that for a period in the 1980s the Dunhill tobaccos were produced at another factory in England and then moved to Murrays and perhaps that is when this change occurred. Whatever the cause this for me was when the mixture became something else and regardless of the tin label I was no longer willing to buy. Using the brand name was indeed Dunhill’s prerogative, they after all owned it, but in strict ethics it was dubious and I certainly would never again accept that the Dunhill label was a guarantee of quality, although many of their products remained high quality and I bought those but very much on a “buyer beware” basis. What about the recent resurrection? I tried a tin and found it a pleasant but dullish tobacco that might be just about okay if I ran out of tobacco and could not get anything better (in reality I would probably spike some resurrected Nightcap with Peterson’s Irish Flake but under threat of this I am careful to take adequate supplies of my favourite Robusto when I travel). In my view the resurrection is no more, but certainly no less, unethical than the fall from grace in the late eighties. If only all tobacco producers were as ethical as our esteemed author (and C&D) who pulled all their blends containing Syrian Latakia after the warehouse fire some years ago - they could have cobbled together a mixture and blessed it with a pinch of any old Syrian Latakia and gone on using the names that were already hallowed by many pipe smokers! After all it would have been closer to the original than Three Nuns in its present perique free form. One sad aspect of all of this is that these resurrected blends top the selling charts (see Smoking Pipes’ website - one of our esteemed sponsors here - top ten and top hundred lists in their section selling tinned tobacco) in spite of all the information and reviews now available on the internet. In 1988 unless you were lucky enough to be around London you had little information and choice as 965 changed but now the information is available at the press of a button on the internet and purchase of nearly any tobacco obtainable for the effort of a few minutes on the old plastic keyboard. I find the predominance of these zombie blends as particularly sad when there is a choice of so many great modern tobaccos that are as great as those in some now lost golden age and, for pity’s sake, usually cheaper as well. I suppose that takes us to the quandary of why quality seems to find it so difficult to prevail in the modern world but I think I will leave that for another day as my pipe has just gone out and I must get up to refill it! Wonderful comments so far. Thanks for the great participation. I must say my preconceived notions of pipe smoking were that of my grandfather sitting in his chair puffing on his favorite pipe and blend. It was astounding at the least. A lad of 7 or 8 watching the rolls of smoke extruded from the mouth and nostrils. The smell of the burning tobacco and the wafting of the smoke. It still leaves me yearning for that time and place. What was his tobacco? I don’t know. What pipe was he smoking? I don’t know. Was it mesmerizing? Yes. This is my perception. This is my reality. 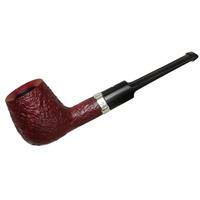 This is how I come to the hobby as a new pipe smoker. It is the remembrance of something older, something fonder. Now it is my search for the “marvelous mixture” that I can’t live without. So far my search has left me wanting, but I have many left to try. I have many pipes to collect, many tins left to open, and so my journey begins. Much like Nigel. I look forward to it. Thank you Gl Pease for what you do to help us remember the ones who have gone before us. The thing that drives most of us oldtimers crazy is that frequently the “Big Firm” changes the blend for whatever reason. Not to single out anyone, but the new Three Nuns doesn’t have perique. Perique is a critical component of what made it a great tobacco. The new version is actually not bad at all, but it isn’t Three Nuns. It is not totally different than if Greg were to re-introduce Renaissance without any Latakia. Brands and what they stand for evolve over time. The coke recipe of today is different than it was when Coke started. It has probably changed dozens, maybe hundred of times. People now in their 50s and 60s can remember going to Wendy’s and seeing a fresh patty cooked to order on a grill and it was served to you pink in the middle. Its all changed now - does that mean Coke is not Coke and Wendy’s is not Wendy’s? The bottom line is that Coke ain’t selling you the Coke recipe. You said it yourself, they’re selling you an experience and an expectation. That is just one of MANY examples. 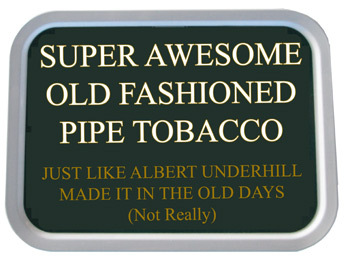 The evolution of pipe tobacco brands (the big ones) should be held to some mythical higher standard. Whether you like it or not, the new Three Nuns is still Three Nuns whether it is the recipe you or I like or not. That is the right of the company that owns and licenses the brand. You can choose not to buy it on principle (and try to convince others to conform), but I prefer to let the current smokers decide. Maybe when we’re all dead the next generation will be happily smoking 3N and completely oblivious to the original recipe. If they love it, who cares? Or, if under current management the brand is driven to utter craptasticness because its a crap recipe - new recipe or not - it will suffer a similar fate to all the great English pipe brands acquired by Cadogan in the early 80s. Ah, no truer statement to reflect the opinion of many of us regarding Three Nuns. “None finer”? Well sadly no, not anymore. While I agree it may be difficult, if not impossible, to recreate and resurrect a “perfect match” — using the current Balkan Sobranie as an example, while definitely not the same as what I smoked decades ago, Germain did a pretty good job with it. As for Three Nuns by Orlik then Mac Baren, the latter apparently contractually obligated to use the Orlik recipe, is not Three Nuns and so, quite disappointing. drlpipe, though I don’t completely disagree with you, there’s got to be a point at which “new” is so far removed from the original that it doesn’t count anymore. If Coke started bottling 7-Up and labeling it as Coke, would you still feel the same way? If I replaced the Latakia in Quiet Nights with black cavendish? Or, more subtly, if, when we lost our supply of Syrian, I’d simply reformulated my blends containing the stuff and continued selling them, would THAT have been acceptable? How about if I’d waited a few years, and then brought them back with trumpets blaring? The whole point of my article is that, indeed, things do change, but when those changes are substantial, where do we draw the line? Could a Ferrari still be what its name implies if it had a 2 litre 4-cylinder Toyota motor in it? Brands DO mean something. At least, they should. A Lotus with a 2000cc 4-banger Toyota motor is still a Lotus. Brands SHOULD mean something, but that sentiment is rarely enforced once a small or family company gets gobbled up into the bigger fish, after that, there’s simply no reason to really CARE about the brand, and more often than not the brand becomes degraded to bargain basement status - it’s happened like that over and over again. I do admire your idealism and obvious good ethics, but most suits just don’t play that way it seems. Talking tobacco, do ANY of the old famous UK brands that’re made in Germany or Denmark measure up to their namesake? Not one, I’d say, except maybe St. Bruno or Condor or most of the plugs, which are from my limited experience still very good but may indeed be only shadows of their former selves - and there’s no way I will ever know either. The sad thing is how a famous brand can get knocked down so low down in the muddy gunk of repulsion, like what happened to Barling, an extreme example of how an outside company can completely destroy any “halo effect” of the brand and replace it with the “cheap devil effect”, of course, Barling’s reputation survived this in the end, based wholly upon how very early they built the brand like a big brick house, and nothing can tear that down. I think if we could actually draw lines about such things that the world would be much better for it, but businesses looking for more profits cannot resist the draw of “built-in respect” already earned by whatever brand and milk milk milk it until no more milk comes out and there’s nothing they can really do ’cause they don’t know how to make the right milk themselves and the brand eventually diminishes into a substandard category, with only a slight trace of the former glory remaining. No, it wouldn’t and you didn’t - because you have ethical principles! Later blenders of Balkan Sobranie(s) did just that, albeit incrementally, and other blends such as Three Nuns changed completely as stated here and in Kevin’s excellent editorial. As you’ve said many times, when trying to re-create an old blend, one has to ask which version? Some good results have ensued but it’s still all about trading on a famous name rather than selling a good new blend. I suppose the same can be said for many pipe marques, as well. 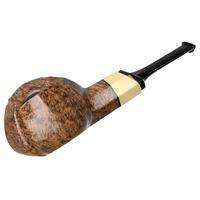 Barling, Charatan, Comoy, GBD, BBB, Loewe, Sasieni. Dare I mention Dunhill? The list is long. Tobaccos haven’t fared better. Even as early as the 1980s, the recipes for the Sobranie blends were apparently mere suggestions. First, Latakia content drifted down by astounding percentages, then other blends from the factory were ‘rationalised’ (merged) into the same recipes, their respective tins simply wearing different livery, but containing the same product. Yes, recipes, methods change. But the Lotus of today is still a sport car that delivers something of the promise of the marque - it goes quickly, is light, handles well, and provides some driving thrills. I used to know an Alfa Romeo mechanic who swore he’d had an Abarth Yugo! Sadly, I’m all too familiar with “platform engineering” where a co. just slaps on a badge and carries on like they’ve just made the genuine article, when it’s really just lipstick onna pig. I’m a Saabfreak and this is how GM killed Saab, now I’m a member of the “orphan enthusiast” ranks. It was incredible how the evolution of a standard Triumph Slant 4 circa ‘68 had been so well-developed (with turbo tech help from Scania) into a stout gearbox killer, being THE Saab motor for like 25 years! Lotus kept the plot because they stuck to the core theme, “add lightness”, and outsourced elements had been part of their DNA ever since Jim Clark was all arms ‘n elbows inna Cortina - although I do agree with you about Coventry Climax as being a perfect ideal of THE Lotus. But, the manner that the tradition has been carried on is admirable - it requires decision-makers within the company who are passionate, enthused, principled or even patriotic. Too bad the same can’t be said for the UK tobacco industry. It’s unclear to me why they’ve often drifted away from the perfect blueprint and veered down the path of marque degradation, perhaps it’s a generational thing, a loss of the old seasoned hands and the new gen comes to think they can do it better than their elders, which is one reason why family-owned operations tend to fare better, because they’re actually emotionally invested and maintain a sense of pride. Regarding branding and the general ‘consumer’, there’s a huge psychological aspect involved that cannot be discounted and in many cases that element is easily taken advantage of. It’s like being awestruck by a beautiful woman from a distance, but when you go up and talk to her you realize there’s nothing really there on the inside, but you overlook the lack of intellectual or conversational capacity, simply because you’re content to be bathed in the glowing aura of her outward appearance - but such relationships don’t usually last, no matter how pretty the face (human or product), if there’s no substance behind it then the love is lost. And going off-topic to the compliment box here at the end, I’d compare some of your blends to the tuning genius of Carroll Shelby, a parallel one can’t ignore is how he took the British body and added American guts. Of your blends which’ve been inspired by the older UK stuff, you’ve been able to grab those roots and grow a new tree, create a new category and transcend the initial influence into a realm beyond just mere nostalgia, but into an authentic evolutionary modification tweaked by the best spanners in your toolkit, and by upholding an integrity of the mission all these years, you’ve not only added a deep richness to the pipesmokers good life, but you’ve displayed an unbreakable backbone with which all other tobacco houses should be measured. Apart from a lack of ethics I think one factor in the under cutting of traditional pipe tobaccos is a lack of experience and knowledge as the key decision makers ceased to be pipe smokers, probably ceased to have had fathers who smoked pipes and maybe had never really met a pipe smoker. In the early days when the blends were originally developed the top posts in the company were probably filled by pipe smokers who had quite often started the business or whose fathers had. 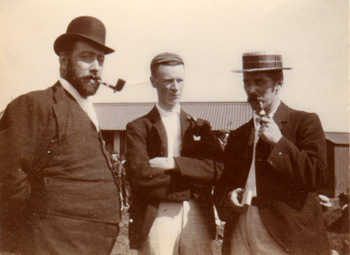 However, as pipe tobacco manufacture was acquired by corporations above a certain size their executives were recruited from the general pool of business executives who, as pipe smoking became quite rare in the executive class by the 1970s, were unlikely to be pipe smokers and so the corporate boardrooms became pipe free. All the decision makers therefore probably knew was a few numbers on a print out and a very quickly read brief as, after the amalgamations, pipe tobacco was a very small part of the corporate business and as the old saying goes, time is money. Does this in any way excuse exploiting brand reputation? No, it definitely does not even though they knew not what they did. However, it should warn us not to rely on anything good from the large tobacco companies and to only buy their products, whether pipes or tobacco, if they are competitive in the modern vibrant market. There are so many other good products to chose from! This is a well-written, and fun read. Thanks again! As usual. Since there is now a real-world example related to this somewhat, I’ll chime in there too, because its been on my mind. I certainly would be interested in hearing a statement from the current makers of “Three Nuns” about this situation. I would. But, basically we can already see this for what it is. To continue an analogy from above: if coke put sprite in a can and called it coke, it’s nothing more than a lie. We know what coke is, and we know what sprite is. If coke sold their brand name and recipe to Walmart, and Walmart put “Sam’s Choice” in a Coke can, and sent it to Pizza Hut in big kegs, that also would be a lie. For me this goes beyond good stuff vs bad stuff, or memory vs current offerings, or it’s place in the current market. If you’re not going to make the product that was in the can, to the best of your ability, why do you EVEN have the can? Why? Troels Juul Mikkelsen observed that at one point in time, when Orlik took over the production of Capstan (flake? ), they used leftover tins and labels from the Liverpool factory for a few months. No one complained until the supply of old tins was exhausted and Orlik started using their own packaging. So much for the discriminating palate! I thought this was a wonderfully written piece, Mr. Pease. Why aren’t these companies required to publish disclaimers on the changes in formulas that they make? The 3 Nuns story is a good example where this should be required (No Perique). If a key ingredient is removed, then this is NOT the same blend and if these companies insist on using the name, they should tell people that they’ve changed the formula.